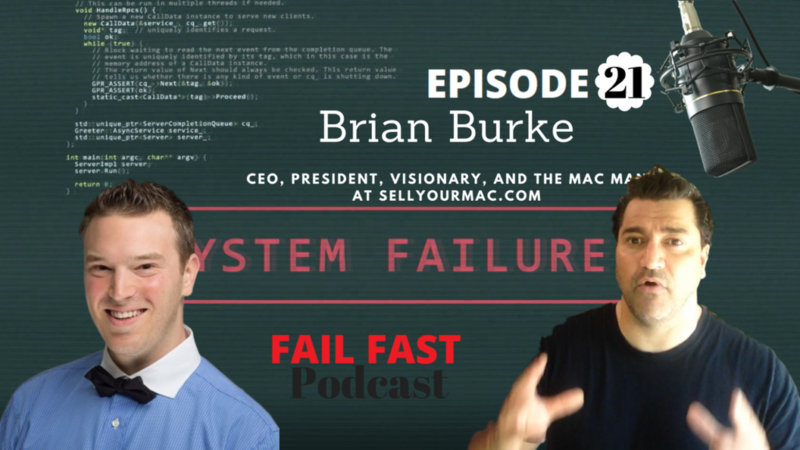 Brian Burke is currently President and CEO of SellYourMac.com (SYM), the world’s most trusted and highest independently rated Apple trade-in company. Brian Burke is the President of SellYourMac.com. At the age of 6, he started his first business selling jewelry on the street. At 13, he graduated to trading stocks. For the past decade, Brian’s company has been helping people earn extra cash by making it fast, safe, and easy to buy, sell, and service their Apple products. SYM has paid out $20M and has helped over 100,000 customers. Brian is a dynamic and ultra personable individual who strives to help his community through business and service. He is always on the cutting edge of technology and loves helping other individuals and organizations stay up to date on their Apple products with his company SellYourMac.com. Brian is striving to reach new heights and educate himself on topics he finds interesting. Brian has become a Sommelier, an Apple Certified Mac Technician, a Notary Public, an Ordained Minister, a Certified Scuba Diver, and has received his Boating license. Brian truly loves learning and sharing his knowledge with others! Brian volunteers his time to the Professional Leadership Network, Adopt a Class, and Cincinnati Youth Collaborative, three local non-profits. – Why did you decide to start SellYourMac? – How does the trade-in process at SYM work? – What are the top 1-3 actionable steps you have used to achieve the revenue model you have described in this episode? – What can we look forward to, in the near future, from you? – What do you do to help the community? – Was there a challenging time or situation that could have devastated or even ruined your business but, you overcame it?